Dr. Samuel D. Kerr, Founder/Manager of SDK & Associates, LLC, is the past Chief Operating Officer and General Counsel of National American University. He began his career in the education industry in 1983 as a high school English/Journalism Instructor. He also taught education courses at a local tribal college. He left teaching to attend law school in 1989. After graduating from law school in 1992, he started his legal practice as an associate attorney at Wallahan & Eicher in Rapid City, SD, from 1992 to 1995. He then served as a litigation Attorney and Managing Partner of Banks, Johnson, Colbath & Kerr, Prof. L.L.C., from 1995 to 2001. While at the Banks, Johnson law firm, Kerr represented several higher education institutions in various matters, including USDE Title IV and Title IX Issues, Title VII, facilities, trademark, and employment practices matters. Kerr left private practice in 2001 to serve as Vice President for Human Resources and General Counsel at National American University (NAU) in Rapid City from 2001 to 2004. He then served as system Vice President for Administration and General Counsel of NAU from 2004 to 2008. In April 2008, Dr. Kerr was promoted to Provost and General Counsel. 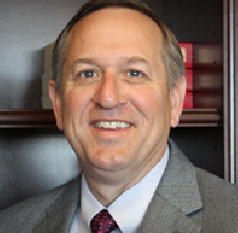 He served as the Provost until April 2013 when he was promoted to Chief Operating Officer. In this role, he provided day-to-day oversight for the academic and institutional support functions for the university system. More specifically, he provided leadership for academics, Financial Aid, Student Accounts, Human Resources, Legal Affairs, Information university’s Board of Governors for over 11 years and was a member of the faculty. Dr. Kerr has a keen understanding of how accreditation, legal, and regulatory issues translate into the practical functioning of a postsecondary educational institution. When the U.S. Department of Education enacted regulations that established new requirements for postsecondary institutions to be eligible for federal student financial aid programs, Dr. Kerr initiated the creation and successfully led, a coalition of diverse South Dakota colleges and universities to effectuate a change in that state’s postsecondary education laws to conform to the new federal mandate. In addition, since 2006 Dr. Kerr has served as a Peer Reviewer and Team Chair for the Higher Learning Commission. Over the last nine years, Dr. Kerr has also served in a number of other capacities with the Commission, including as a member of the Institutional Actions Council (the Commission’s decision-making body), institutional eligibility reviewer, federal compliance evaluator, and contract review committee member. For a number of years, Dr. Kerr has also provided consulting services on a number of higher education topics, including Accreditation, Compliance, Governance, Curriculum, Academic Program Review, Assessment of Student Learning, and Strategic and Operational Planning. Dr. Kerr’s academic preparation includes a B.S in English and a B.S.Ed. from Black Hills State University, a M.Ed. from South Dakota State University, a J.D. from the University of Nebraska-Lincoln, and an Ed.D. from the University of South Dakota.